Yes, Apple Music might be deleting your music files | What Hi-Fi? Apple has confirmed a bug in Apple Music that could inadvertently remove tracks from your music library. 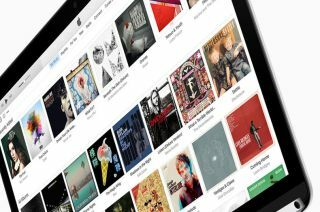 We're big fans of Apple Music, but its integration with iTunes, especially for those with a large existing music library, has always been slightly fiddly. Now, following various reports (see here and here) about people losing music as a result of signing-up for Apple Music, Apple has confirmed there is a problem. The issue appears to come into play when users choose to 'match' their existing music libraries with Apple Music's cloud offering. The idea, as with Google Play Music, is to give you streaming access to your legacy music library by giving you access to what Apple believes to be the same track in its streaming library. Not withstanding potential issues with this process (the wrong track, different versions etc), it seems some users noticed that the original files had been deleted from their hard drives. This shouldn't be happening at all, naturally, but would become particularly problematic should the user unsubscribe from Apple Music only to find their own music library was missing tracks. Apple has confirmed the problem in a statement to iMore: "In an extremely small number of cases, users have reported that music files saved on their computer were removed without their permission. We are taking these reports seriously, as we know how important music is to our customers, and our teams are focused on identifying the cause. We have not been able to reproduce this issue, however, we are releasing an update to iTunes early next week which includes additional safeguards. If a user experiences this issue they should contact AppleCare." Due to the complex nature of the problem, it's hard to say how many users have been affected - some may not have noticed - or indeed precisely how and why it's happening. A forthcoming update to the iTunes library will hopefully rectify the problem and make the Apple Music and iTunes integration a little clearer.